We all have been hearing the term Data Science and Data Scientist occupation become more popular these days. I thought of sharing some light into this specific area of science, that may seem interesting for rightly skilled readers of my blog. Data Science is one of the hottest topics on the Computer and Internet nowadays. People/Corporations have gathered data from applications and systems/devices until today and now is the time to analyze them. The world wide adoption of Internet of Things has also added more scope analyzing and operating on the huge data being accumulated from these devices near real-time. As per the standard Wikipedia definition goes “Data science, also known as data-driven science, is an interdisciplinary field about scientific methods, processes and systems to extract knowledge or insights from data in various forms, either structured or unstructured, similar to data mining.”. 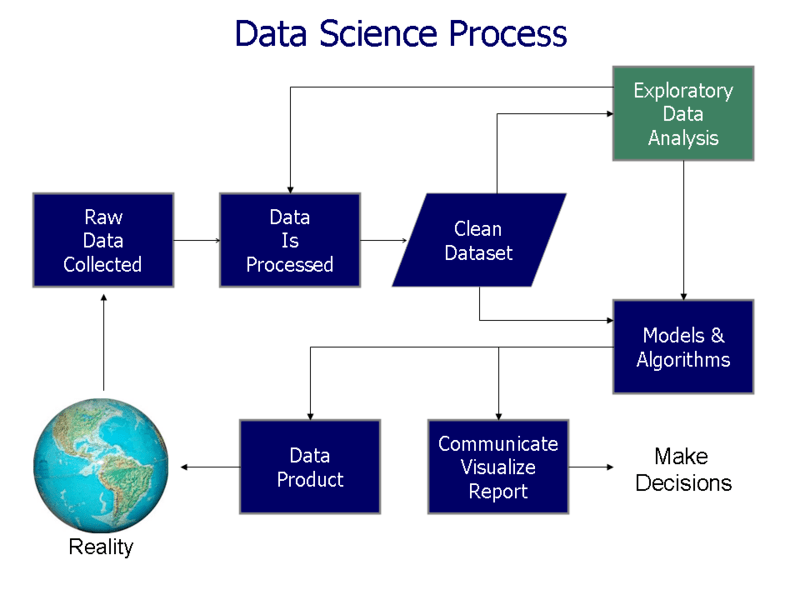 Data Science process involves collecting row data, processing data, cleaning data, data analysis using models/algorithms and visualizes them for presentational approaches. This process is explained through a visual diagram from Wikipedia. 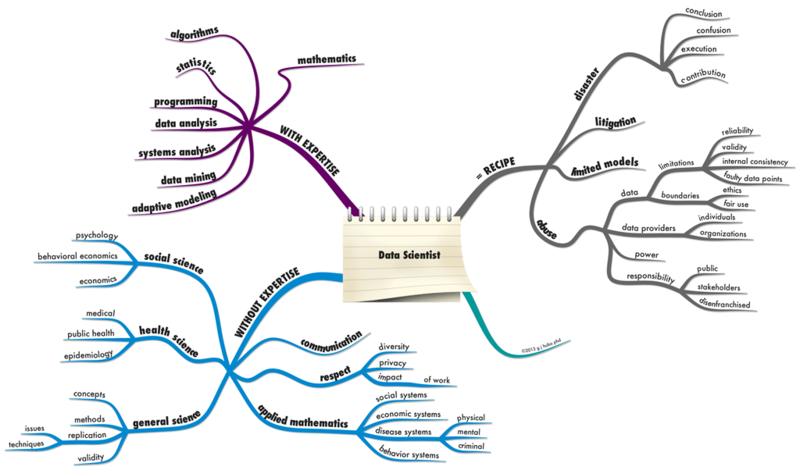 Data scientists use their data and analytical ability to find and interpret rich data sources; manage large amounts of data despite hardware, software, and bandwidth constraints; merge data sources; ensure consistency of datasets; create visualizations to aid in understanding data; build mathematical models using the data; and present and communicate the data insights/findings. They are often expected to produce answers in days rather than months, work by exploratory analysis and rapid iteration, and to produce and present results with dashboards (displays of current values) rather than papers/reports, as statisticians normally do. Data Scientist is the sexiest job in the 21st century as per Harward Business Review. McKinsey & Company projecting a global excess demand of 1.5 million new data scientists. What are the skills required for a Data Scientist, let me share you a visualization through a Brain dump. 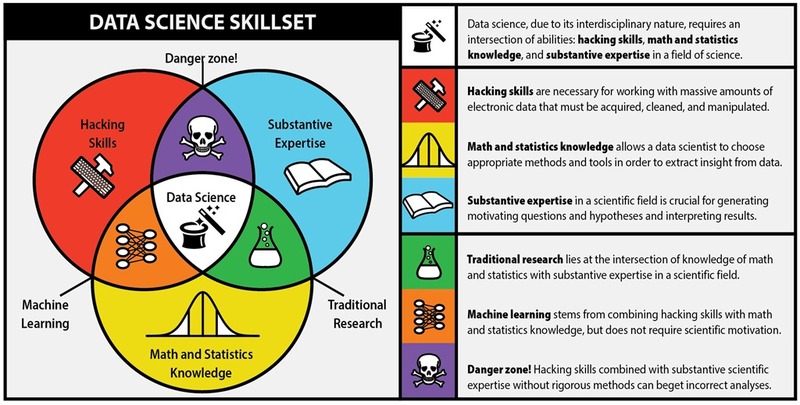 I thought of sharing an image to take you through the essential skill requirements for a Modern Data Scientist. So what are you waiting for?, if you are rightly skilled get yourselves an Data Science Course.